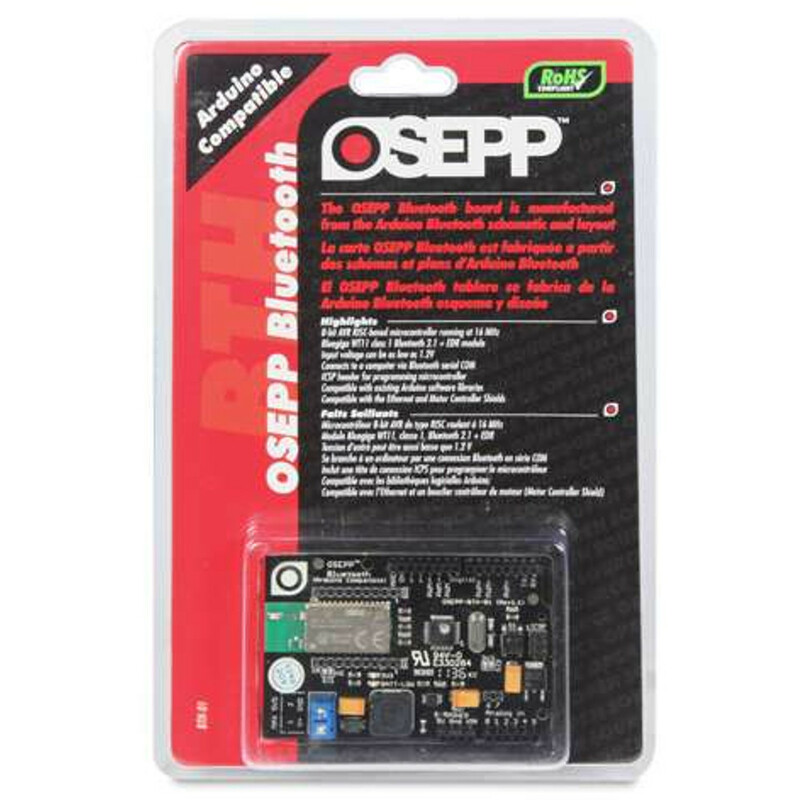 The OSEPP™ Bluetooth board introduces Bluetooth connectivity to its users with the Bluegiga WT11, class 1, Bluetooth 2.1 + EDR module. 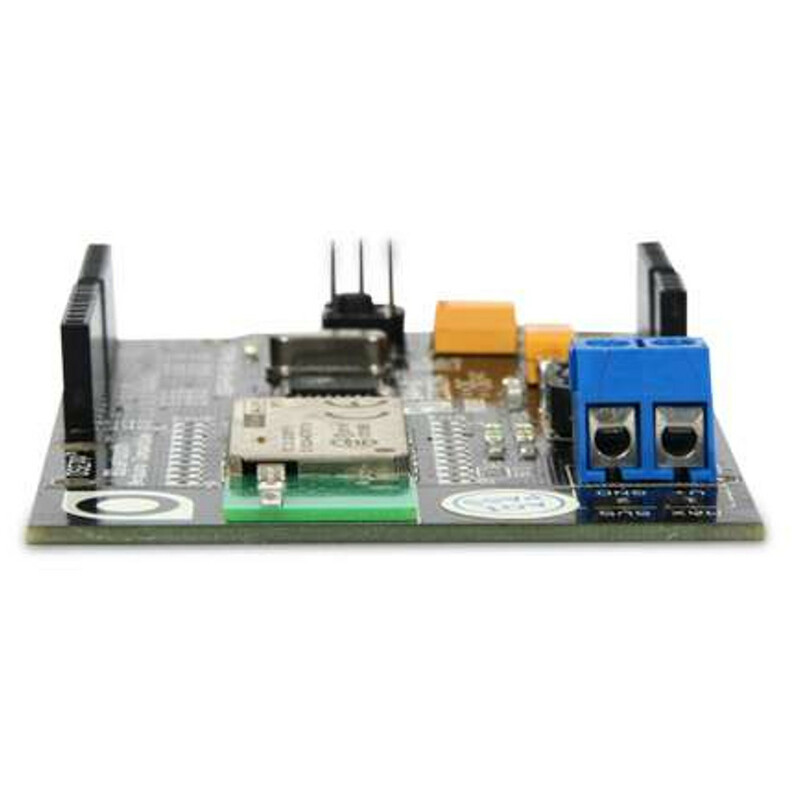 With more than 10 supported Bluetooth profiles, this board can be used for a multitude of BT-related projects. The high-efficiency, low-supply current, step-up DC/DC converter allows an input voltage of as little as 1.2V to be used and as high as 5.5V. 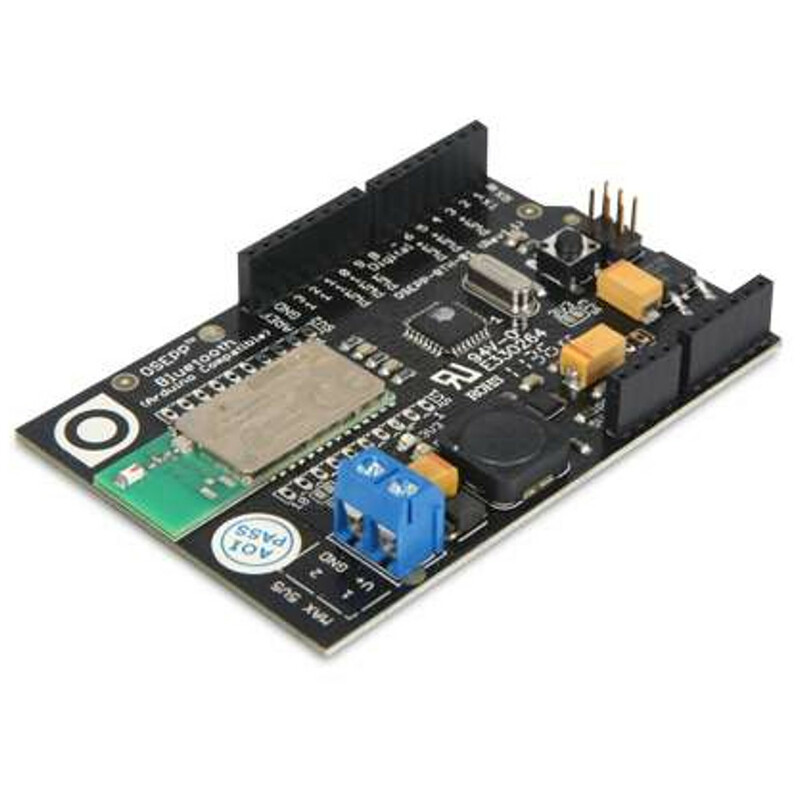 The ATmega328P comes with the Arduino bootloader preloaded. There is an ICSP (In-Circuit Serial Programming) header for the ATmega328 to optionally replace the bootloader. The Bluegiga WT11, class 1, Bluetooth 2.1 + EDR module contains an integrated Bluetooth radio antenna and iWRAP protocol stack. 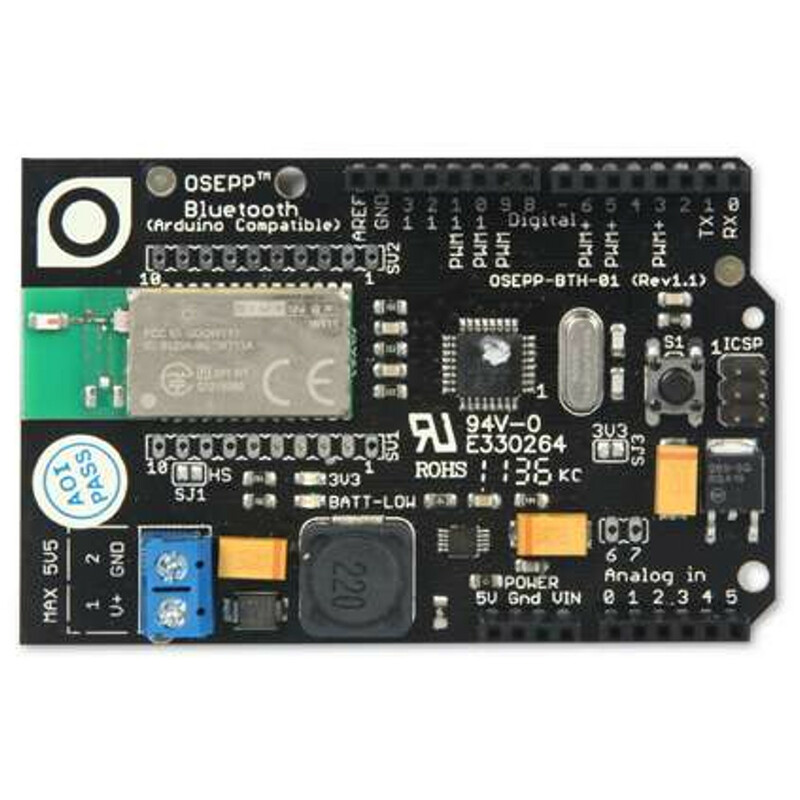 The Bluetooth stack offers a slew of profiles such as Serial Port Profile (SPP), Dial-up Networking Profile (DUN), Hands-Free Profile (HFP), Headset Profile (HSP), Human Interface Device (HID), A/V Remote Control Profile (AVCRCP), Device Identification Profile (DI), Phone Book Access Profile (PBAP), Object Push Profile (OPP), File Transfer Profile (FTP), and Bluetooth Health Device Profile (HDP). Furthermore, the WT11 firmware is upgradeable via serial pins that are exposed on the board. 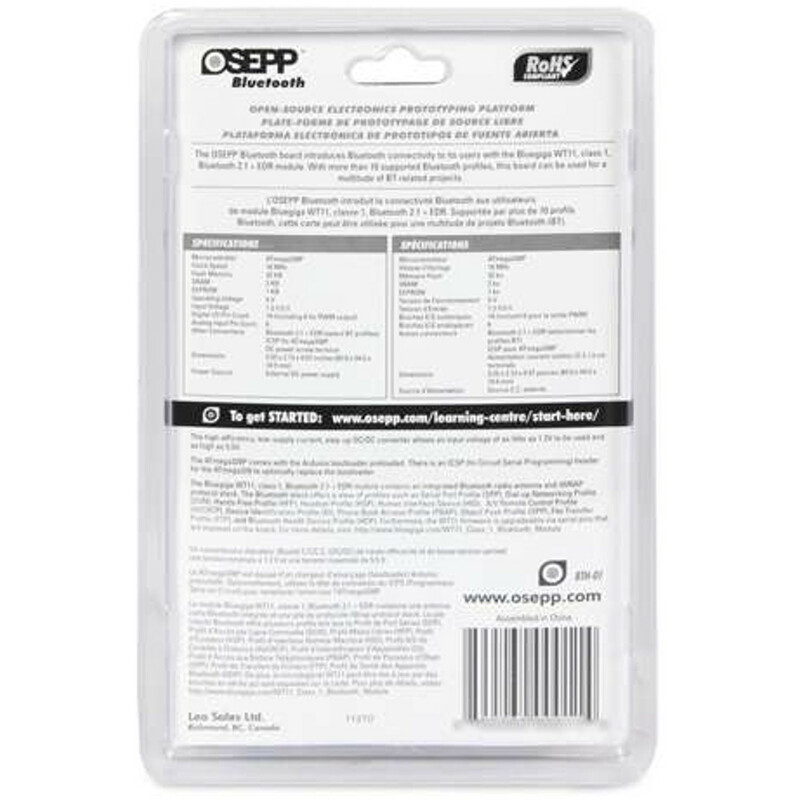 The input and/or output pins are brought out to pre-mounted headers, which enable a convenient way to prototype projects without the need of soldering or desoldering.